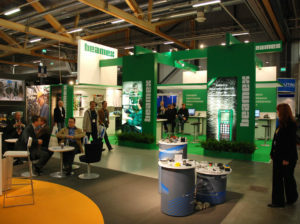 These exhibitions, conferences and other events offer you possibilities to learn hands-on about Beamex calibration solutions, meet our calibration experts and discover best calibration practices. 21. – 24. February 2019 | FIT – Future Industrial Technologies Fair | Izmir, TURKEY | Elimko Ltd. Sti. 14. – 17. March 2019 | WIN Eurasia Automation Fair 2019 | Istanbul, TURKEY | Elimko Ltd. Sti. 19. – 22. March 2019 | Amper | Brno, CZECH REPUBLIC | Kalibrátory, s.r.o. 28. – 29. March 2019 | Farmaforum | Madrid, SPAIN | Gometrics, S.L. 8. – 11. October 2019 | TÇMB International Technical Seminar and Exhibition | Antalya, TURKEY | Elimko Ltd. Sti. 13. March 2019 | Technology Expo | Shepparton (VIC), AUSTRALIA | AMS Instrumentation & Calibration Pty Ltd.
27. March 2019 | Technology Expo | Wollongong (NSW), AUSTRALIA | AMS Instrumentation & Calibration Pty Ltd.
1. May 2019 | Technology Expo | Traralgon (VIC), AUSTRALIA | AMS Instrumentation & Calibration Pty Ltd.
7. – 9. May 2019 | OZWATER ’19 | Melbourne (VIC), AUSTRALIA | AMS Instrumentation & Calibration Pty Ltd.
15. May 2019 | Technology Expo | Newcastle (NSW), AUSTRALIA | AMS Instrumentation & Calibration Pty Ltd.
29. March 2019 | Technology Expo | Brisbane (QLD), AUSTRALIA | AMS Instrumentation & Calibration Pty Ltd.
12. June 2019 | Technology Expo | Darwin (NT), AUSTRALIA | AMS Instrumentation & Calibration Pty Ltd.
26. June 2019 | Technology Expo | Griffith (NSW), AUSTRALIA | AMS Instrumentation & Calibration Pty Ltd.
17. July 2019 | Technology Expo | Gladstone (QLD), AUSTRALIA | AMS Instrumentation & Calibration Pty Ltd.
7. August 2019 | Technology Expo | Melbourne (CBD) (VIC), AUSTRALIA | AMS Instrumentation & Calibration Pty Ltd.
20. August 2019 | Technology Expo | Bunbury (WA), AUSTRALIA | AMS Instrumentation & Calibration Pty Ltd.
3. September 2019 | Technology Expo | Toowoomba (QLD), AUSTRALIA | AMS Instrumentation & Calibration Pty Ltd.
18. September 2019 | Technology Expo | Warrnambool (VIC), AUSTRALIA | AMS Instrumentation & Calibration Pty Ltd.
15. October 2019 | Technology Expo | Geraldton (WA), AUSTRALIA | AMS Instrumentation & Calibration Pty Ltd.
17. October 2019 | Technology Expo | Perth (WA), AUSTRALIA | AMS Instrumentation & Calibration Pty Ltd.
30. October 2019 | Technology Expo | Sydney (Western) (NSW), AUSTRALIA | AMS Instrumentation & Calibration Pty Ltd.
13. November 2019 | Technology Expo | Launceston (TAS), AUSTRALIA | AMS Instrumentation & Calibration Pty Ltd.
20. November 2019 | Technology Expo | Adelaide (SA), AUSTRALIA | AMS Instrumentation & Calibration Pty Ltd. Contact the local distributor for more information. Arranged by AMS Instrumentation & Calibration Pty Ltd.